Seoul, winter. Ho-jun, a recently divorced, part-time film-studies lecturer, moves to a small and shabby one-room flat. Having left his only son Gun with his ex-wife, Ho-jun lives a cheerless and destitute life. His negative and cynical attitude and his miserable situation drive him into a desperate depression. Director SIN stated that he wanted to portray people who hadn't conformed to "the standardized rules of society". He said, "I want to open the door that is shut fast to these strangers". Working on the film made him reflect upon these issues more and he added, "It even helped me to overcome my own prejudice and intolerance of 'others' and 'minorities' in our society". Host and Guest portrays a door-to-door missionary who knocks on the door of a divorced and unemployed intellectual. The Uninvited and unwanted missionary is harshly rebuked at the door by the confused and angry man. The two meet again and an unlikely bond starts to develop. Host and Guest premiered at the 2005 Pusan International Film Festival and went on to be invited world wide, including the 56th Berlin International Film Festival. At the 32nd Seattle International Film Festival director SIN received the Grand Jury Prize for Best New Director. Just as Woody Allen, "forever New Yorker", delivers sharp satires and caricatures of himself, Shin also questions social issues such as political situations and discrimination against religious minorities with Ho-Joon (Kim Jae-rok), a man of the so-called "386 generation", who has become a snob, as his mediator. With humor as its backdrop, the film accurately delivers its message in an easy-to-understand language, which is the best virtue of the Host & Guest. 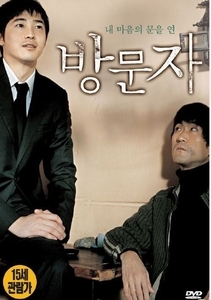 Ho-Joon, a cynical intellectual who is discontent about everything, meets Kye-Sang (Kang Ji-hwan), a young and extremely moralistic missionary. The film portrays the process of communication between the two and how each becomes the leader of their own lives. A divorcee and part-time lecturer, Ho-Joon sees that all his life's problems are caused by the world, which makes him decide to live a life of seclusion, separating himself in his small one-room apartment. One day, he happens to be locked inside his bathroom when the door lock is broken, and Kye-Sang, a young missionary from a Christian denomination whose beliefs are considered heresies , happens to visit Ho-Joon's house and helps him get out of the bathroom. Although Ho-Joon is always aggressive to everyone and discontent about almost anything, he cannot face Kye-Sang like he used to. After all, Kye-Sang is his savior. So, Ho-Joon brings him to the places he usually hangs out -- bars, theaters, karaoke rooms, and even in spots where Ho-Joon used to go alone. The two men, however, have nothing in common. Ho-Joon always gets involved in petty fights, and Kye-Sang always stops and calms him. Host and Guest is a film about people who are pushed to the edge of the world. Ho-Joon closes his heart from the world after his divorce and after losing his job. Kye-Sang loses his job as a private teacher just because he has a different belief system. While Ho-Joon and Kye-Sang live their own guest-like lives for different reasons, the encounter between the two offers them the opportunity to become the leader of their lives. While they may be seen as a "guest", they become the "host" of their own lives. Director Sin, with the transformation of the two characters, questions the true meaning of being a "host".